Selldorf Architects’ design expands and enhances space for art and the public. The new construction to the south of the existing site quadruples their gallery space, creates a more welcoming and clear entry, and gives greater coherence to the site enhancing the Museum’s connection to its spectacular coastal setting. The Museum anticipates two years of construction following groundbreaking, with an opening planned for 2021. For more information on the project, please visit out Project Page. 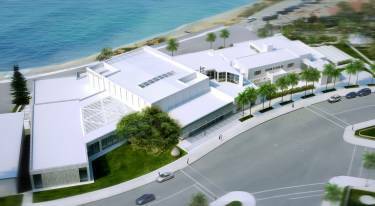 To stay up-to-date with the Museum’s expansion project, please visit MCASD’s website.